SAN FRANCISCO, Calif. /California Newswire/ — Inc. magazine recently ranked EPIC Insurance Brokers and Consultants, a retail property, casualty insurance brokerage and employee benefits consultant, NO. 2288 on its 35th annual Inc. 5000, the most prestigious ranking of the nation’s fastest-growing private companies. To earn this recognition, EPIC posted a solid 158 percent increase in annual revenue between 2012 and 2015. Companies such as Microsoft, Dell, Domino’s Pizza, Pandora, Timberland, LinkedIn, Yelp, Zillow, and many other well-known brands gained their first national exposure as honorees among the Inc. 5000. The 2016 Inc. 5000, unveiled online at Inc.com and with the top 500 companies featured in the September issue of Inc. is the most competitive crop in the list’s history. The average company on the list achieved a mind-boggling three-year growth of 433 percent. The Inc. 5000’s aggregate revenue is $200 billion, and the companies on the list collectively generated 640,000 jobs over the past three years, or about 8 percent of all jobs created in the entire economy during that period. The annual Inc. 5000 event honoring all the companies on the list will be held from October 18 through 20, 2016, in San Antonio, Texas. 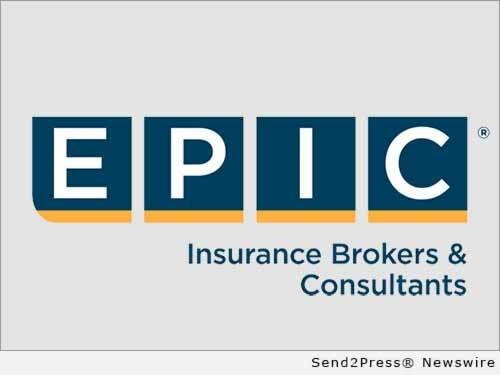 EPIC is a unique and innovative retail property and casualty and employee benefits insurance brokerage and consulting firm. EPIC has created a values-based, client-focused culture that attracts and retains top talent, fosters employee satisfaction and loyalty and sustains a high level of customer service excellence. EPIC team members have consistently recognized their company as a “Best Place to Work” in multiple regions and as a “Best Place to Work in the Insurance Industry” nationally. Learn more: http://www.epicbrokers.com/.